Russia on Wednesday poured cold water over a UN bid to condemn Iran over missiles to Yemen. UNITED NATIONS (AFP) – Russia on Wednesday poured cold water over a bid at the UN Security Council to condemn Iran for violating the arms embargo on Yemen and to call for further action against Tehran. Britain last week circulated a draft resolution that would renew sanctions on Yemen for a year but also call for unspecified measures in response to a UN report which found that missiles fired by Yemen s Huthi rebels at Saudi Arabia were made in Iran. Russian Ambassador Vassily Nebenzia said the proposed measure should focus on renewing the mandate of sanctions monitors for Yemen instead of taking aim at Iran. “We don t like condemnations at all, no, in general,” Nebenzia said, according to remarks released by the Russian mission. “It s a resolution about the extension of the working group, not about Iran. So we should concentrate on extending the working group first,” he said. The draft resolution “condemns” Iran for violating the 2015 arms embargo on Yemen by “failing to take the necessary measures to prevent the direct or indirect supply, sale or transfer” of short-range ballistic missiles, drones and other military equipment to the Huthis. Backed by the United States and France, the text specifies that the council will take “additional measures to address these violations” and that “any activity related to the use of ballistic missiles in Yemen” is a criteria for sanctions. 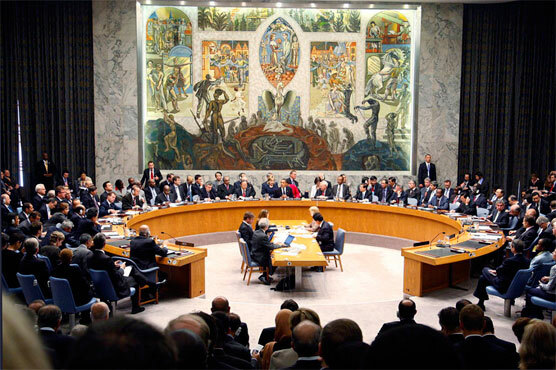 The Security Council is expected to vote on the draft resolution next week. Russia has the power to block sanctions by resorting to its veto as one of the five permanent Security Council members, along with Britain, China, France and the United States. The report by the UN experts bolstered US and Saudi claims that Iran was arming the Huthis, despite Tehran s strong denials. While the report found that Tehran had violated the 2015 embargo by failing to block the shipments of equipment made in Iran, the experts said they were unable to identify the supplier.